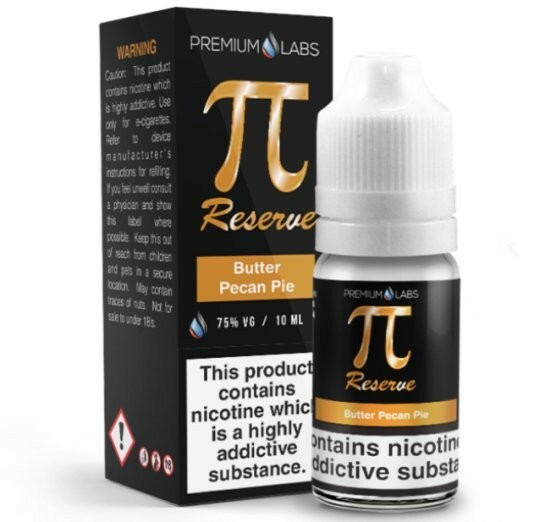 PI Reserve eLiquid Premium Labs | Electronic Cigarette Co.
Freshly made butter pecan tart with whipped cream, part of the PI series from Premium Labs. This e-Liquid is incredible. Bought it on a whim, among 4 other different flavours (not a massive fan of sweet food but fancied a try), and this was the best one. Looking to make a second order and this was first in the bag.